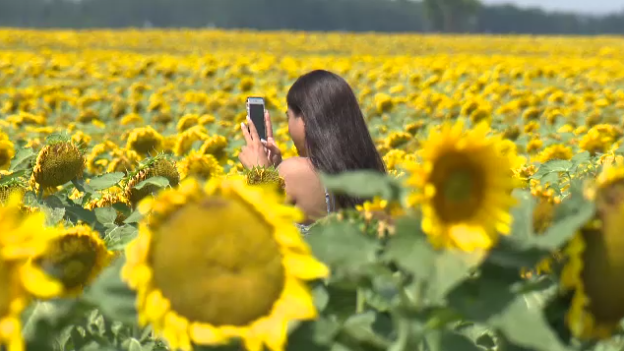 As alluring as a picturesque sunflower field may be to a dedicated selfie seeker, farmers in Manitoba are asking visitors to respect their property when they’re trying to snap that perfect shot. Bruce Stewart owns a large, eye-catching field filled with yellow sunflowers on the edge of Winnipeg. 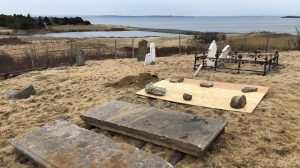 Recently, his property has seen an uptick in visitors stopping on the side of the road to take photos in front – and sometimes inside – of his field. On Monday, there was a steady stream of people taking photos at the edge of Stewart’s sunflower field. He said he’s concerned about the impact these visitors are having on his crops. James Battershill, the general manager of Keystone Agricultural Producers, Manitoba’s largest general farm policy organization, says other farmers across the province are dealing with the same problem as Stewart. “We know that a lot of people, especially from urban areas, have really lost a connection to a primary producer and they see these beautiful fields that we have in Manitoba and they want to stop and take a photo,” he said. Battershill asked the public to respect farmers’ private property when they’re considering stopping to take a photo. “I wouldn’t go to their yard and walk around in their yard and pick flowers,” Stewart said. Bruce Stewart says there have been dozens of visitors snapping photos in his sunflower field.